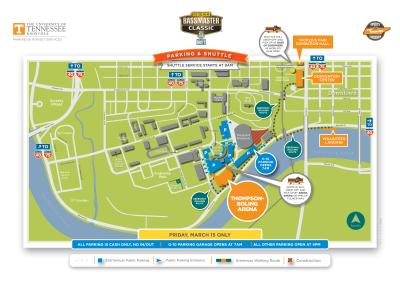 Parking is available in all adjacent parking lots and garages for Concerts & Special Events. 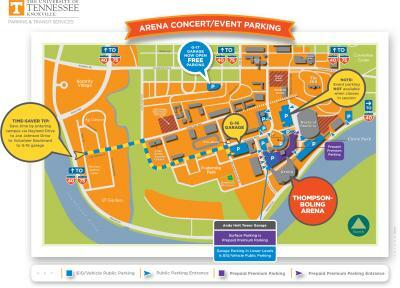 Some Concerts & Special Events offer Premium Parking located in the G5/S30 lot, located on the top level of the Administrative Garage directly across from the Arena. 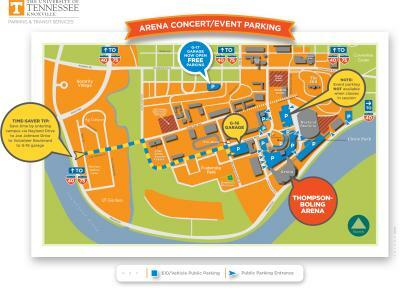 For events where Premium Parking is available, you must purchase a Premium Parking permit prior to the show from the Thompson-Boling Arena Concerts & Special Events Box Office, or through Knoxville Tickets. 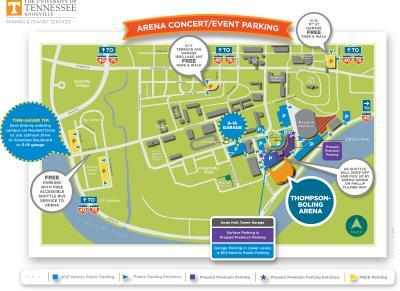 For Tennessee Athletics events, please contact UT Parking Services for availability of parking in garages around the Arena during athletic events, (865) 974-6031 as most of the lots around the arena are permit only. 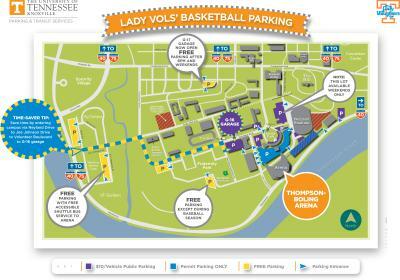 For Basketball events, FREE parking and shuttle service is available from the University of Tennessee&apos;s Ag Campus. Shuttles begin running 2 hours prior to tip-off. All non-prepaid parking is $10.00 cash only! 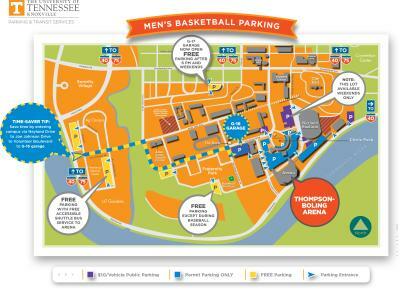 All parking lots are operated by the University of Tennessee Parking & Transit Services.